Xyron TAPE RUNNER Permanent Adhesive Dispenser at Simon Says STAMP! 3301 This item is on reserve until If you would like to reserve this item now, you may purchase it now with the rest of your order. We will hold your order now and ship your entire order as soon as this item is back into stock. If you would like your order to ship now, please place this item on a separate order. Success, Xyron TAPE RUNNER Permanent Adhesive Dispenser has been shared! Adhesive is dot pattern, acid free and non-toxic. 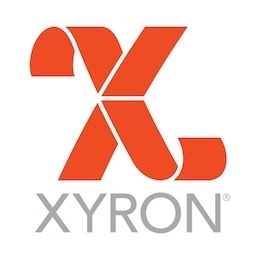 For the creative home user, Xyron develops and sells disruptive, game-changing products into craft, hobby and stationery departments of specialty and mass retailers worldwide. Xyron develops products that assist users with every step of the creative process, from inspiration to presentation. Xyron is your go-to destination for inspiration and tools, offering a complete array of high-quality products that appeal to the creative professional, crafter, teacher and mom. With Xyron, expressing your creativity has never been easier!